Every morning, the fine folks at Sports Radio Interviews sift through the a.m. drive-time chatter to bring you the best interviews with coaches, players, and personalities across the sports landscape. Today: the Snake has hung up his fangs. 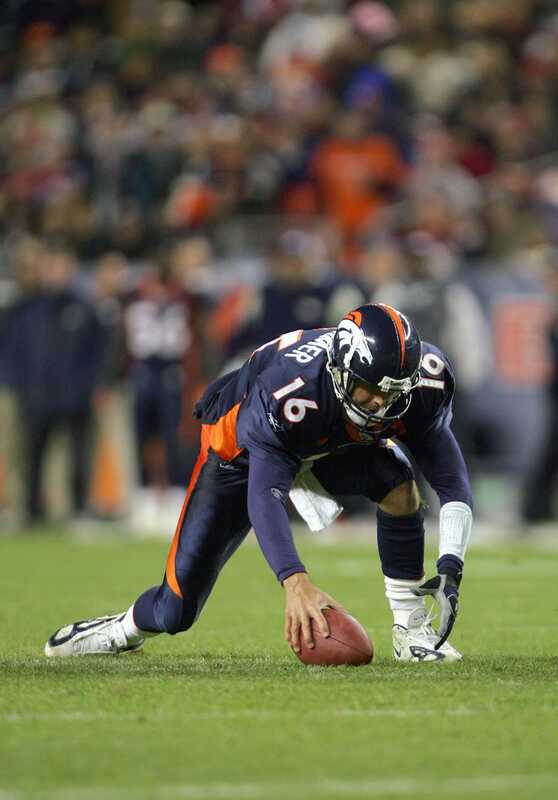 Jake Plummer joined KKFN in Denver to talk about him throwing the football around in Denver earlier this week, on the fans reaction to him throwing the other day, what kind of shape he is in, whether he gets an inkling where there is some percentage of him that wants to return to the NFL, if he is over the issues in the past with Mike Shanahan, and what bugs him about Tim Tebow. "The guy I talked to, Loren Landow, down there at the little family bubble that we used to practice at when it would snow, he runs a combine camp and being out of the league for five years and not really having a hand in much football besides coaching up north, there were some kids out working out and I thought I would go out and throw the ball with them. Give them a little bit of something to go into the draft with or get ready for a personal workout. I went through it so long ago, a young kid with big eyes and I just wanted to tell them to have fun and enjoy it because it goes by so fast and before you know it you're retired and back in a bubble telling some kids what you think they can do to help them get ready for the draft." "I think I'm honored that the fans around here would actually want to see me in a Broncos jersey and it's always nice to be wanted rather than be run out of the league because you are no good. There's multiple reasons why I wouldn't come back and thinking about it here the last 24 hours or so one of the only reasons I would come back is because they did clean out the handball courts in Dove Valley." "I would say I'm in better shape to just do a wider array of things. When you train for football you're in great cardio shape, strength wise you can lift weights, you can run, and you have that endurance where now I just do a lot of things. I'm in good shape. My body, you deal with things when you get older and further away from your playing days and I got out early but I still dealt with some serious injuries throughout my career and things that you feel the older you great. I feel great for the time that I put in on the field but as you grow older you slow down a little bit. I'm in decent shape but the process to even get in shape to play it takes six months to get ready to get on that field. I don't even have six months right now to get ready for camp if I really wanted to. I'm honored that the people would love to see me back there but Caleb Hanie has a chance to come in and learn from one of the best players to ever play the game and that's an opportunity that a young kid like him deserves and I'm excited for him. If I was serious about this that would be hard for me to dash some young kids dream like that just so I could play for one year. It would be more fun for me to be in the locker room, go have a beer with the guys after the game whereas a young guy like him is going to try to learn from a great player and hopefully one day become a solid quarterback in this league and I wouldn't want to put a hamper in his goals in his life as a player." "There's always going to be some percentage there. I made my mind up a long time ago and I stand by my decision. If I was still needing to justify something or come out of retirement to do anything of that sort that would be for the wrong reasons and like I said last night, my heart wouldn't be in it. Of course it is a lot of fun thinking about it right now and I'm really honored that they would even consider it but I don't know how serious they are about winning a Super Bowl there. If they wanted to maybe they would already have me signed. I'm just playing man!" "I think this conversation and the fact alone that the fans would want me back, they miss me, and kind of see the way it was played out, but Shanahan was a great coach and did a lot of great things but he hasn't been winning a lot since that decision went down. I'm not trying to point out something the fans don't know. I have no beef against Shanahan and my career went crazy for four years. I had some of my best years in the NFL here so I have nothing but thanks for him for bringing me in. Of course we didn't mesh as coach and player once (Gary) Kubiak left but that's in the books man. To think back on that and be mad about that it's just bad energy to keep around." "I don't know if you can say what bugs me about him. I think I just, throughout my whole life I understand people's beliefs and what they believe in and it always kind of rubbed me the wrong way, after a game the people I always thanked were my teammates because they were there. Whatever belief you believe in that's fine but when I did say that about him it was in no disrespect to him as a person. I just thought it would be nice for him to take credit for himself and to his teammates for once. I respect the kid after the way the season went down and paying attention to what he does for other people in their lives. He puts a lot of things ahead of the game and in his position I think it's pretty impressive that a kid his age can understand what is really important and a kid on his death bed comes to a game to meet some players, that stuff you remember more than playing in a game where you might've not played so well or played in a game you pulled it out of your hat. The kid has a big heart, he's a humanitarian but to back up what (John) Elway did, you don't win Super Bowls with a humanitarian at a quarterback you win Super Bowls with a genius quarterback who knows what is going on and that is Peyton Manning. Until the league catches up with this new style that is going on with these athletes at quarterback like Cam Newton, him, and (Michael) Vick, until those offensive coordinators get creative enough I don't think you will see a team win a Super Bowl with one of those guys. It's bound to happen soon but in the meantime I think this city is hungry for a Super Bowl. I think Tebow will have success wherever he goes because he is a positive guy and you can't help but be impressed by how positive he is and that rubs off on people." • Fred Smoot calls Roger Goodell a dictator. • Carmelo says he feels more accountable to Mike Woodson. • Austin Rivers says he's NBA-ready.